Beautifully said ladies! Pure evil sums up my thoughts exactly. I pray that people continue to enjoy the things that bring them pleasure in life and don't let these acts by these evil people run their lives. this world has gone crazy. I have no idea what would make someone do that. It's so heartbreaking. it's all just too much indeed. words are hard to come by that's for sure. just keep telling those close to you that you love them and all of us must take action to try to spur SOME kind of movement at the top. this is just unacceptable that it keeps happening. Absolutely horrific and heartbreaking - I had listened to that festival being broadcast all weekend long on my xm radio. Trying so hard not to harbor hate and disgust and sending up prayers for everyone involved! It is pure evil indeed. I just cant even imagine what would cause someone to do this. So many lives lost!!! I sit here and think...what does it take to get some changes to be made??? It's sad when you can't go enjoy a movie, concert, sporting event, etc without worrying that something like this could happen. I have been so sad since this happened. So tragic & the pure evil behind it breaks my heart. Praying for the families of the victims! Breaks my heart. The senseless loss, the fear, just makes me so angry and sad! 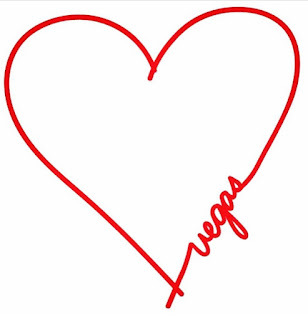 It's absolutely heartbreaking what happened in Las Vegas. This is a beautiful post. So heartbreaking and so scary. I also pray that our nation would turn from its wicked ways and seek His face again. We've strayed so far from Him. And need Him more than ever. Hearing this was just heartbreaking. I love music too and I go to a lot of shows. These attacks at such "normal" places like concerts and movie theaters are always the most terrifying for me because I can't NOT think about it the next time I go somewhere similar. You are so right, nothing but pure evil. Beautifully written. Praying for Las Vegas. The world is completely nuts. Its heartbreaking. It is devastating.. I am almost not even surprised anymore.. sad but not surprised. Every few days you hear about something horrific and you feel like this can't be happening.. this can't be the world I live in. This happens in other countries.. not mine. Yet here we are.. and no one is doing anything about it. This just breaks my heart. Even now, my mind can't even fathom how awful this act of violence was. And it saddens me that these things are so common now.